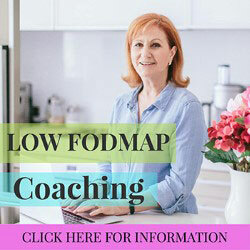 Aside from the Low FODMAPs diet there are various other diets that can be helpful for sufferers of IBS. No one diet fits every one and you may find one diet works for you and a diet that seems to work for others makes no difference or even makes your symptoms worse. Some people even find that combining a few diets can help them even more. Some of these diets are very restrictive and can be hard to follow unless you take great care in your food intake. They also need to be done under the supervision of your doctor or dietitian as they need to ensure you are consuming the right amount of vitamins and minerals. It always helps to keep a food and symptom diary and note down the foods you are eating as well as noting down any symptoms you feel each day. This diet is an elimination diet that lasts 30 days that is developed by Dallas and Melissa Hartwig. A helpful resource for the diet is their book It Starts With Food. The diet focuses on eating real food such as meat, fresh vegetables, fruit, eggs and fats from good sources. Foods are preferred that are nutrient dense with naturally occurring vitamins and minerals over foods that are less nutritious. 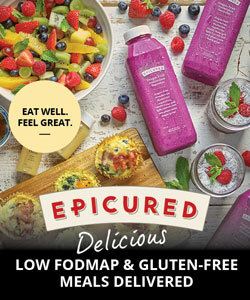 The emphasis is to eat foods with few ingredients and without “unpronounceable” ingredients. This diet is similar to the primal / paleo type diets that focus on natural foods. The diet eliminates foods with added sugar, alcohol, dairy, grains and legumes as they are said to have a negative impact on your health and fitness. The diet lasts 30 days and you are to avoid weighing and measuring yourself for the duration of the diet. The diet has had a lot of interest for the weight loss and overall healthiness aspect of the diet but there are many people who have found that whilst doing the diet their IBS symptoms have been reduced. The Specific Carbohydrate Diet, also known as SCD, is a diet that limits most carbs. The theory is that reducing carbs to only ones that require minimal digestion can help to reduce inflammation in the bowels. The diet is challenging as the list of foods allowed is very limited. Some foods allowed in the diet are: vegetables, legumes, certain natural cheeses, unprocessed meats, poultry and eggs, nuts, most fruits and juices. The foods that are not allowed consist of: sugars, canned vegetables, all grains, starchy vegetables, processed and canned meats, various dairy products, candy/sweets. The diet was developed by Elaine Gottschall. She was a biochemist and cell biologist and had a practice where she helped many suffers of Crohn’s disease, ulcerative colitis, celiac disease and IBS. An authoritative book authored by her is the book Breaking the Vicious Cycle: Intestinal Health Through Diet. For more information on the diet head over to the SCD part of the SIBO Diets page. Studies have shown that diets high in fiber help some sufferers of IBS and in contrast diets low in fiber also help other sufferers of IBS. High fiber diets tend to help those who suffer with constipation and low fiber offers help for those who have diarrhea. When increasing fiber be sure to increase soluble fiber and reduce insoluble fiber as this is more likely to reduce symptoms. A food and symptom diary would need to be kept to see which of the two diets helps you more. Sources of soluble fiber include oats, seeds, nuts, beans, some fruit and vegetables such as apples, strawberries, oranges, pears, blueberries, cucumber, carrots, celery. The gluten free diet is a well known diet and it is a highly researched topic. This diet is helpful for suffers of celiac disease and for people with a non-celiac gluten sensitivity and wheat allergies. 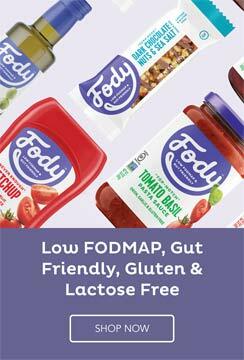 The gluten free diet has some similarities to the FODMAP diet and it is often tried first before undetaking the low FODMAP diet. I have compiled a gluten free food list to help those who wish to undertake the diet.